Another cold winter day, thank goodness it's already March. I am counting down the days until warm weather again. We ventured out into the cold and took our daughter skiing. After a long morning, we got back to our warm home and I was craving one thing. No, not hot chocolate...pina coladas, of course. All I crave this time of year are three things: Bob Marley, pina coladas and Hawaii. Here is my mid-day, child-friendly, clean eating recipe for a pina colada. Pineapple on sale $1.88, three is better than one. Cut off the sides and slice across the pineapple and through the core three times. Then cut the core off the six long pieces. The core runs down the middle and it is hard. My juicer...I LOVE IT! My husband gave it to me for Valentine's Day, it was the best most thoughtful gift ever. One pineapple = Three cups of the most delicious pineapple juice you can ever imagine! Now add 1/2 cup off that fresh juice to a blender, along with ice, coconut milk and pineapple chunks. I didn't need sweetener but my daughter took hers with honey. 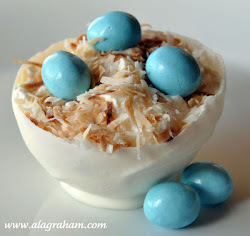 A little nutmeg sprinkled on top would be good too and definitely some whipped coconut cream with toasted coconut flakes. She was able to eat in peace with the birds late in the afternoon (with my watchful eye on her at all times). I wish I could knit her a warm little squirrel sweater. Tonya what cute your pictures with the kids!! Love them! From popcorn boxes.Ahaa, this is a nice conversation on the subject of this post at this place, I actually have read all that, so at this time I also commenting on this place.